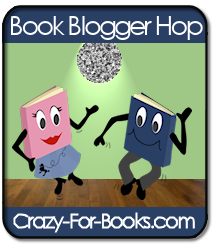 The Book Blogger Hop is hosted by Jennifer @ Crazy for Books. It's a chance for book bloggers to get together! Wow, uh I'm guilty. I follow a lot. What can I say, I love them and most of them are other book blogs. hehe. Hopping back. Thanks for being my 200th follower!!!! Hopping by. Happy Friday. Great blog, I'm now following you. Am an old follower here from the Hop. I hope you have a great weekend! Hmm...I'm guilty of following almost 100 blogs! I don't check all of them regularly, but I find so many of them interesting! Stopping by the blog hop to say hi! Hi thanks for following! I am now following you as well. The cupcakes are making me hungry lol. Just hopping through. Thanks so much for visiting my site. You're layout is really great. Thanks for stopping by my blog! I'm off to read more of yours! Thanks for stopping by my blog. I also love YA and Paranormal books. Look forward to reading future reviews from you. Hopping back over. Love that review. Sounds like a great high school love story. I like remembering high school, but it was never like it was in the books! Still, I'd like to read the book. Hopped by to say I am your newest follower. Have an awesome weekend! Hey! Thanks for stopping by my blog! Have a great weekend! Thanks for the follow! I already follow you of course!!! Hi there Cindy! I finally got around to following you! (You have my books for review! At least I hope they made it to you!) Anyway, just popping by on the hop! Hope you are having a great day!